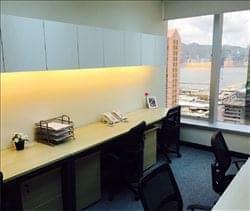 Find My Workspace lists over 95% of the serviced offices & coworking space market in Kwun Tong. Simply click Request Quote to check pricing for one office, or Add to Basket for multiple offices. 11 floors of pure awesomeness, each floor is customized for different business needs. Whether you’re just starting off and need a desk only, want space to increase product exposure, or planning to open a pop-up shop, this centre has you covered. 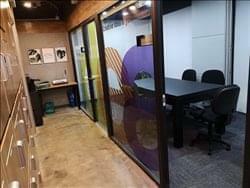 If you’ve got the perfect idea for the perfect business, you’ll find the office for you here. The collaborative work spaces will get the creative juices flowing to bring your vision alive in no time. The centre offers you hassle-free service, our service package is flexible and all-inclusive. Tailor-made plans are available to meet your needs at a favorable price. 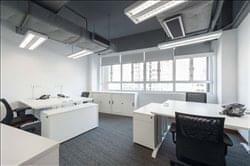 All office and co-working members can access to facilities at our centre in Mongkok and Kwun Tong. If you’ve got the perfect idea, you’ll find the office for you here. 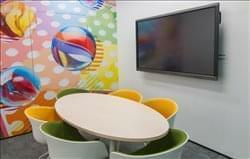 The collaborative work spaces will get the creative juices flowing to bring your vision alive in no time. AI and blockchain geeks are the ones ruling the future and for an intense city like Hong Kong, affordable price and plentiful network resources are the ones that stand you out and save your time. 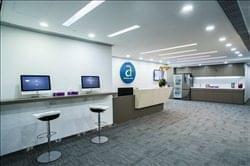 Therefore, we stationed the centre in Kwun Tong District in the year of 2018, with services including individual offices and co-working space, business incubators, company registration, secretarial services, roadshow and more. 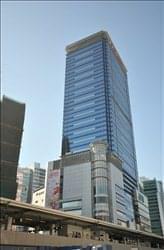 This recently-built commercial grade building provides quality shared office space, at Kowloon East’s new CBD. The ground lobby has been renovated with a contemporary chic design that warmly welcomes clients. A government department and several large-scale companies within the finance and retail industries have settled in the centre, proving its superiority. This business centre provides a one-stop service to meet all your day-to-day business needs. Understanding the operation burden to invest and manage various operation support facilities for a company. This centre provides everything you need to start with and the team is at all times ready to support you. 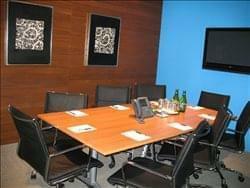 Office facilities include high quality desk, chair and pedestal for each office, a well facilitated connectivity system, advanced telephone system, and an electronic secure door lock. With a professional reception and secretarial service available, snack & beverage refreshment, a copy and fax center with a postal service. This centre is located at Hung To Centre, where it is one of the prime places in the area. With the Government’s urban renewal plan in Kowloon East, Kwun Tong has been turning from an industrial heavy area into a commercial area. Many international enterprises have been moving into this area, bringing in various commercial elements to Kowloon East. First class office space in a comfortable working environment. The space is fully furnished with over 2,700 sq ft of co-working & event space. We also provide professional concierge and receptionist services. Furthermore they have self-service lockers available and phone booths for private calls as well as you have the flexibility of installing your own fixed-line telephone and/or fax. This is a self-owned property; this group has transformed the former industrial property into a stylish commercial building. 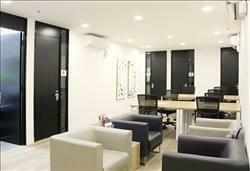 From the building outlook to the design of room, there has been a lot of effort put in to make it a pleasant and comfortable working place for everyone. With size 16,000 sq.ft, the offices are comparatively more spacious in the industry than many others and fitted out with stylish furnishings. At this property, you can enjoy a flexible lease from one month to one year for an immediate move in office, anytime your company grows in size, the suitable office suite will be ready the next day. The in-house support team handles daily secretarial works in a professional manner and provides consultation about company formation and visa application if you need it. You just need to concentrate on your business; this centre will take care of the rest. The centre aims to fully support and nurture all co-workers’ business ventures to thrive, with advanced range of technological resources, professional supports and community network. And bring in well-established business to the community. 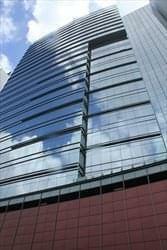 Together your company and ours can grow and succeed in Hong Kong’s favourable business environment. let’s work happier and healthier. The centre provides coffee and snacks, 24/7 flexible access, multi-purposes conference room and unlimited speedy WiFi. The centre stands to build and sustain the personal growth, business performances and professional networking of all members. With a growing community, the members could earn endless opportunities, capitals and resources, achieving a cultivating platform for a promising growth. 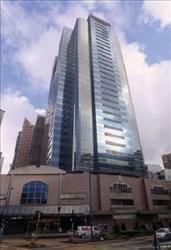 This centre is located in the Kwun Tong area of Hong Kong, a core commercial business district in Kowloon. The building offers panoramic harbour and mountain views, along with a host of amenities. This centre provides spacious offices in Grade A building with a 13-storey shopping mall beneath it providing endless shopping and dining selections. 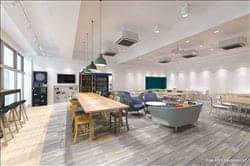 The centre features high-quality meeting rooms, nice communal areas and a cafe with 24-hour beverages and snacks vending machines. A grand reception completes this ideal office location. Neo Suites with separate manager’s room and staff area, which enable our clients to achieve higher returns by increasing productivity, are now available. Neo Suites offer more commodious workspaces, equipment directly in the suite and a higher level of service. 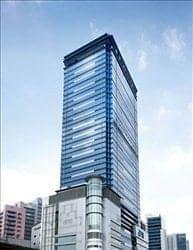 The 14 story building is situated at the heart of Kwun Tong which is a historic industrial and commercial district. The building has been renovated in the recent years with a welcoming air-conditioned, marble lobby. There are 12 lifts and the entrances are guarded 24 hours a day. All offices are well decorated and well maintained. 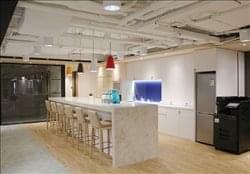 80% of the private offices are with naturally lighting them. 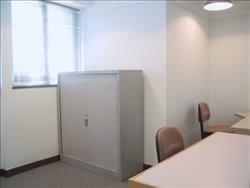 All private offices come with individual air conditioning systems. Free internet connection is provided and weekly cleaning is included. Private address for business registration and mail handling, Free Electricity Charge (including air conditioning),Free display room area and Usage of Leisure facility. Opening August – Be mesmerized with the inspirational, show-stopping ceiling installation designed to inspire all visitors to the space. A former industrial hub, this fully refurbished office space stands out from the crowd. 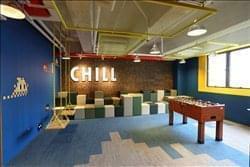 Combining grand modern designs and a dedicated on-site team, this space is sure to provide the best place to work. The natural light encourages moments of contemplation, and the breakout spaces provide ample space to meet up with fellow community members for a latte and a chat before firing up your laptop to get to work. With a stunning rooftop terrace on the 13th floor, this space offers you incredible views of Victoria Harbour and the Hong Kong skyline while providing a great entertainment and networking venue. Look no further for all your office needs, all included in one fee under flexible terms. This innovative project offers all the amenities as well as a living room, bar area, breakout area, high-speed wifi, meeting rooms and, of course, a dynamic and super connected community team. In addition to the basics, this centre features unique characteristics such as an outdoor terrace, coffee bar, art gallery space, ping pong table, standing desks and bicycle chairs. 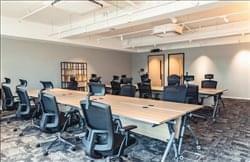 On top of these new amenities, there is a multi-function room with a ‘murphy’ wall that functions as a hot desks, but can swiftly be hidden to open the room for whatever the tenants desire such as a yoga studio or a multi-functional event space. The centres aesthetics will pay homage to Hong Kong and its eclectic art scene. Exterior designs will be completed by HK Walls and interior details will play with local materials such as neon, bold patina, rubber, graphics, rust, wood, painted metal, green features, steel and up-cycled old furniture. To obtain information for your selected Kwun Tong Serviced Offices & Coworking Space, please tick the "Add to basket" box for each office you prefer and complete the form below. We will then send a detailed report via email.